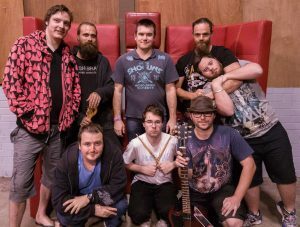 Self-described as ‘a ragtag group of rebellious and rowdy rockers’, Sonik Mayhem’s Jake Salmon has the same ambitions every musician has, to play gigs. Sonik Mayhem is a Gold Coast rock and blues band from the Gold Coast. 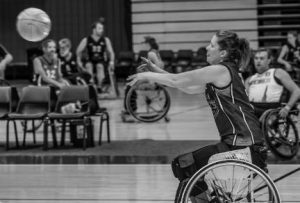 It is the direct result of local organization, ‘Crossing Divides’, that runs a wide variety of arts and music programs for young adults who are living with disabilities. Sonik Mayhem have seven members in total who get together regularly, not just as musicians but as good friends. Guitarist Jake Salmon says they’ve been doing so for quite a few years. “We come together, hang out, have dinner and jam,” Jake said. The band, over this time, have played a few shows and festivals around the Gold Coast and northern NSW. 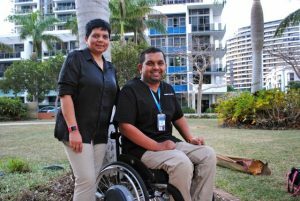 Most notably, Ballina’s Summerland Festival, Gold Coast’s Wellness Festival and Pathway’s into the Future. Unfortunately, according to Jake, despite their best efforts, there is not a lot of gigs going around for him and his band at the moment. However, Jake and the band have not allowed this to get them down and stop them from doing what they love, as they are ambitious enough to go searching for venues to play in. Apart from jamming and hanging out, Jake says they also get in their cars and travel around local spots on the Gold Coast, scoping out potential venues that they hope to one day play in. “We go on the road around the Gold Coast and say, ‘that’s a nice building, let’s do a gig there’,” Jake said. The band, especially Jake, have an overwhelming love and respect for classic rock and roll bands, as well as what Jake describes as ‘the old blues’. He cites bands such as AC/DC, Guns N’ Roses and Eric Clapton as the bands major influences, covering classics as well as ‘old blues songs’, and the likes of ‘legendary’ musician Jimmy Hendrix. “We just cover songs mainly – mostly old blues songs, some AC/DC, Jimmy Hendrix, Eric Clapton,” Jake said. However, for Jake personally, no one is more of an influence for him personally than actor/musician Jack Black. Known for his roles in films such as School of Rock and Kung Fu Panda, Black has opened Jake’s eyes to endless possibilities. Jake describes that even though Black is primarily an actor, the fact that he is a musician as well – his ‘side-project’ in Tenacious D – Jake desires to do something similar. Jake explains that he has been in discussions with a friend in Brisbane of the possibilities of starting a new musical project, – a ‘side-project’, in the same vain as Jack Black – as well as the potential to venture into some sort of acting, he tells me with a modest smile. Jake’s ambitious nature is clear, as he tells me that if Jack [Black] can do a lot, then, ‘why couldn’t he?’. 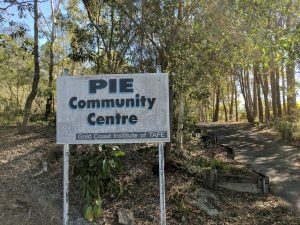 When Jake is not with the band, he is often at Pie Cottage, a newly introduced education program on the Gold Coast designed for people living with disabilities, located at the Ashmore TAFE. However, like any typical musician, when asked about his study, he’s not seem too fond to talk about it, obviously preferring to continue talking about his music. “Don’t ask me about that,” he said, with a smile. 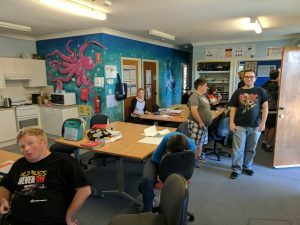 The Pie Cottage program was formed through a partnership between Endeavour Foundation and Advocates for Educating Adults with an Intellectual Disability in 2015. The program was consciously designed alongside the students and families, to develop something that is ‘interactive and innovative’. 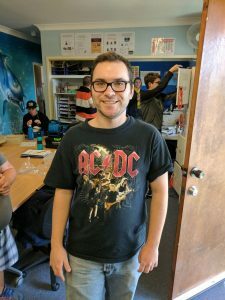 Stewart Koplick, Education Services Manager for Endeavour Foundation, said that it was exciting to plan a curriculum based on what the students want to learn, which will, expectantly, have a learning experience that resonates more for the students. 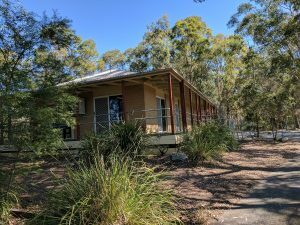 According to Mr Koplick, the curriculum focuses strongly on practical skills that the students, parents and the Endeavour Foundation teaching staff planned themselves. Both Jake and Sonik Mayhem member Oliver Lamond attend the course weekly and have done so since its commencement in 2016. According to Jake, they come to Pie Cottage to learn, do some maths, and to study. 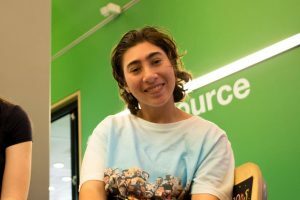 However, in the long run, the course provides the students with much more valuable credentials, according to Endeavour Foundation Service Coordinator David Horstman. 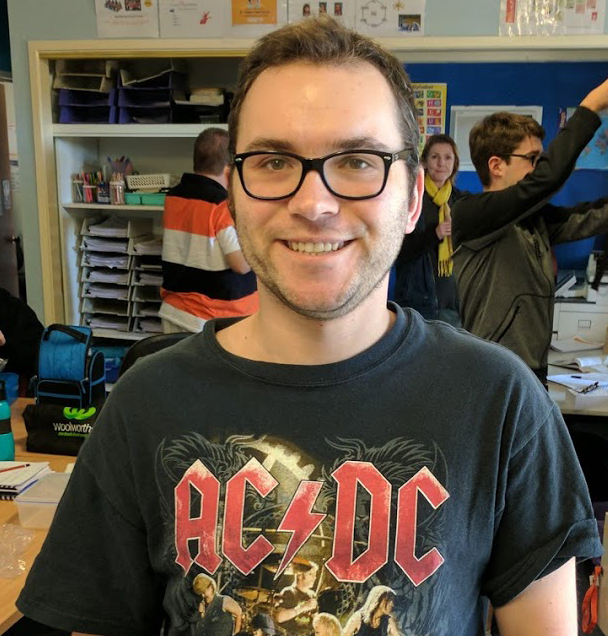 Mr Horstman said that all twenty-two current students within the course will receive Certificates of Attainment each year for each module they complete, and a Certificate of Achievement for attending the program. “[The certificates are] to recognise that each person has worked hard to extend their own individual capacity,” Mr Horstman said. Outside of his tertiary education, Jake just wants to keep going with his major passion in life, playing his guitar. He describes how he will continue striving to get even better, and practice every week. He has a passion for music, and like a lot of people he reflects on how his mood and emotions come out when he listens to music and when he plays guitar. “Some songs are happy, some songs are sad, that’s music,” Jake said. Jake’s drive for doing whatever he sets his mind to, whether that be playing guitar for Sonik Mayhem, or venturing out into ‘side-projects’ of different bands and potentially even acting, is a sincere example of limitless ambition. His self-described hero in Jack Black, the music he listens to and his peers and band members all shape Jake’s drive for seeking his absolute potential, which is just the same with anybody.